The 45-year-old rapper surprised everyone when he dropped his latest record 'Kamikaze' out of nowhere this month, and he has broken a 36 year UK Official Chart record which he previously held with 'Mamma Mia' hitmakers Abba. He joked: "Does this mean I can call myself Sir Eminem?" Each of his nine Number One albums all debuted in the top spot, and he's now the fourth act of the year - including BTS, Logic and Migos - to have two Number One albums in less than 12 months' time, as this latest success follows 2017's 'Revival'. 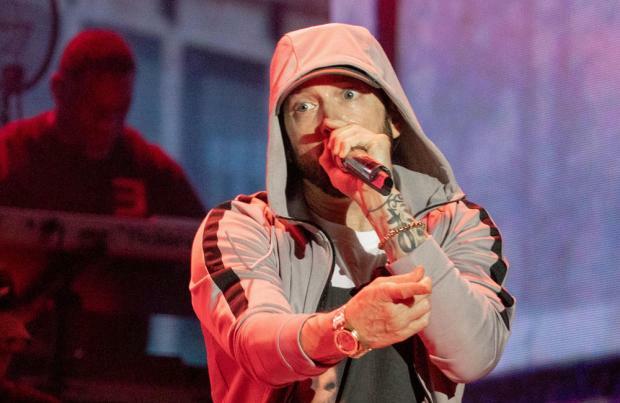 The hip hop star - whose real name is Marshall Mathers III - isn't resting on his laurels though, as it was revealed he is already back in the studio working on more fresh material.